strip entitled 仔仔龍 (ZaiZai Long, or, Little Dragon). Link to original comic on sina. I think here it should be “Zai Zai”. Hi, City Weekend is currently preparing for a major redesign of its website and magazine. We’re looking for comics to include in our Coffeebreak page. 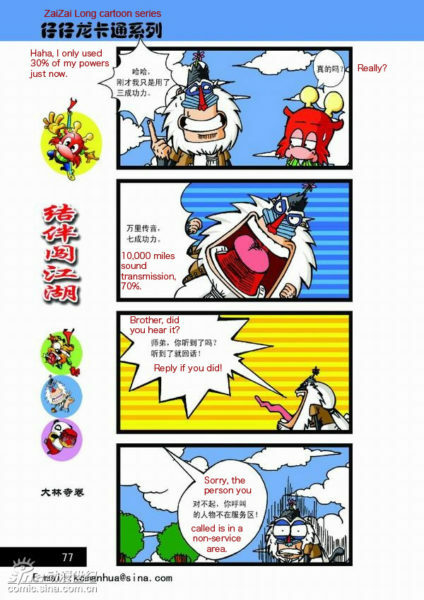 We like the idea of translating Chinese comics into English for our readers. If we were to proceed, what comics would you recommend? Hope to hear from you soon. Collin, you shoulda gotten my response via email. Let me know if you didn’t.